"Everyone has to try this! 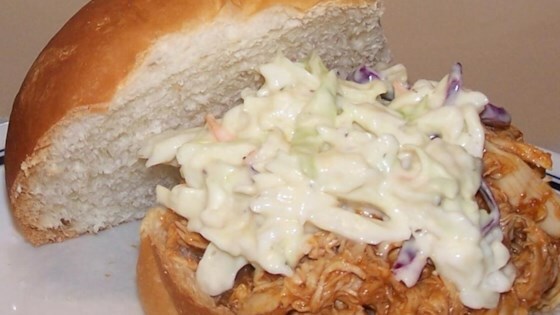 Great for BBQ's, picnics, or yummy lunches for your hubby and kids. You will never hear complaints!" Place chicken breast halves into a 2 quart or slightly larger pot. Pour in ketchup and cola. Simmer over medium heat until the sauce is thick and sticky, about 2 hours. Eat chicken plain, or shred and serve on buns. See how to make delicious garlic chicken in a tangy lemon sauce. Sorry,not for me. Chicken was dry and sauce was nothing to write home about. This recipe IS surprisingly tasty!! My sister used to do Weight Watchers and this was a recipe that she brought home. Just use Diet Coke instead of regular Coke. I still use it to this day! !